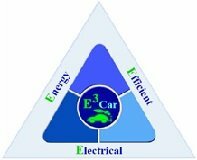 Development of nanoelectronics technologies, devices, circuits architectures and modules for electrical cars/vehicles and demonstration of these modules in a final systems. New design and concepts for power train, power conversion, power management and battery management. Achieve 35% energy saving, and increased integrability against the current state-of-the art EV power electronics systems.